This is a big, hefty drive weighing in at a whopping 5.8kg. The reason is that the chunky case holds no fewer than four separate hard drives equalling 1TB in size, which you can configure in various different modes via the USB connection. 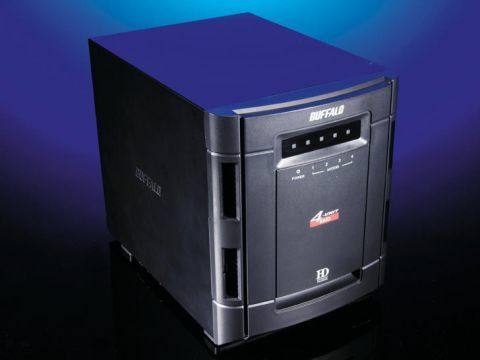 Indeed, even though connection options include eSATA, you have to use USB for switching modes between RAID modes 0, 1 and 5, although the utility software for doing this is simple to use. The drive's default mode is RAID 0, which gives you maximum capacity and performance, but without any redundancy, whereas mode 1 uses the third and fourth drives to automatically keep an exact copy of the first two. In our tests the drive was a little sluggish for writing data even in its fastest mode, although read speeds were about average.